Even people with better leadership skills make certain mistakes that are repeated in their companies and cause discomfort in their employees. Today, we review five of the highlights so you can correct them on time. There are several recurring shortcomings when it comes to communicating with your employees, delegating responsibilities or correcting mistakes in the work processes of your company. Although the error is human, if you know them in advance you will be able to detect that type of attitudes and eliminate the bad behaviours, generating better levels of satisfaction among your employees. To reduce the most common failures as much as possible, it is important to build your own leadership attributes, build a strong reliable and task assigned team and clean up the toxic environment in your company by asking teammates to put their ego aside and work together for company’s future. It’s very important to correct errors in the functioning of a company, there is nothing to be humiliated by the error but humility can reduce the errors by recognising the failures along with detection of shortcomings and liabilities and suiting up for a plan of action to address them and turn those weaknesses into strength. 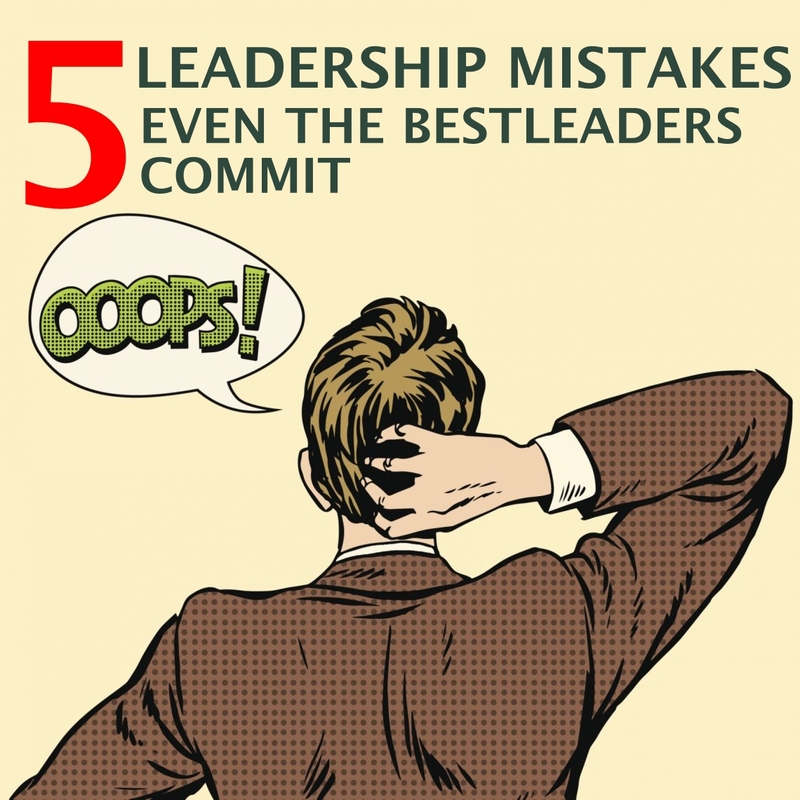 These are the 5 leadership mistakes that most of them will commit. Listening is not the same as listening actively and deeply. Many experts recommend conducting a business practice called “stay interviews” consisting of listening to feedback from employees in order to gain a new vision on how to improve the work environment and retain talent, thus improving corporate culture and achieving will make employees feel valuable and important. It is about taking advantage of active listening as a powerful tool to unite the team. It is important that the communication is fluid and constant, informing your team of the changes and providing positive and negative feedback so that they can improve and not feel unmotivated or disconnected from the company. When the spirits are low or there are problems, it is essential to know how to reassure employees and provide them with tools, maintaining a close emotional distance and encouraging mutual trust among all team members. Knowing how to do business coaching is essential to convey knowledge, bring value and get employees to progress within the company and see their talent grow. Those leaders who function as good coaches are able to increase the productivity of their team, achieve greater integration, multiply their capacities and improve their levels of motivation. Training includes training and mentoring, as well as a process of positive and mutual dialogue that includes asking, giving advice, providing help, tracking and investing time. Even the best leaders have ever neglected the recognition of their employees, something that drastically improves their experience in the company, their self-perception of value and the establishment of new goals and expectations. As we have stressed on other occasions, sometimes a pizza or a praise is more important than a salary increase. Having a recognition program, especially those whose rewards are based on demonstrating core values is essential to have satisfied employees, according to recent research by the IBM Smarter Workforce Institute and the Globoforce WorkHuman Research Institute. An open door policy is essential for employees to reach high levels and improve their levels of satisfaction, encouraging the sharing of ideas, impressions, solutions and expectations through periodic meetings, strategies Role-sharing and feedback tools. The fact that employees can knock your door to talk about their problems and feel that the company’s availability to them is total implies that they will improve their commitment levels and feel an active part of the team. These are the five leadership mistakes that even the best leader would commit. I hope this article helps you to overcome all your mistakes and rebuild your organisation with good skills. If you are a CEO of a company or if you a leader anytime in your life, share your experiences and thoughts in the comment section below. Which is the most memorable thing you have done as a leader?